We believe all people have a moral responsibility to create peace. 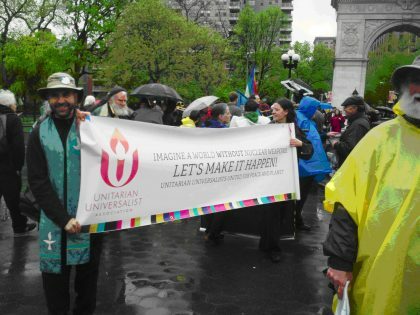 The UUCRT has been certified as a Peace Advocacy Congregation by the UU Peace Ministry Network, a volunteer organization of UUs dedicated to promoting a culture of peace in our families, our society and the world. Their unanimous decision makes the UUCRT the tenth such congregation in the UUA. The board and congregation had previously signed on to endorse the UUA Creating Peace Statement of Conscience (2010). A congregation may become a Peace Advocacy Congregation by performing an ongoing range of peace activities in the areas of international peace; personal, domestic and congregational peace; peace lobbying and activism; and military personnel support. To attain the certification, board member Nate Binzen worked closely with Rev. Chris to write a narrative describing the UUCRT’s peacemaking activities in recent years and decades. This report creates a record of the impressive efforts and achievements of many dedicated members of the congregation. It also spells out our vision for peace advocacy, which gives special attention to the complex push-and-pull of support for military personnel and resistance to state violence. There is too much to celebrate in our past work to recount here – that’s what a 10-page report is for! – but just a taste of it would include our collective attendance at the Peace and Planet actions in New York City; our journey with Rev. Chris as military chaplain and veteran; our work with the LGBT community at West Point; activism concerning the moral hazards of drone warfare, nuclear weapons, and Special Immigrant Visas for interpreters who served the US military in Iraq and Afghanistan; and decades of member engagement in groups like Women in Black and the Wounded Warriors Project. 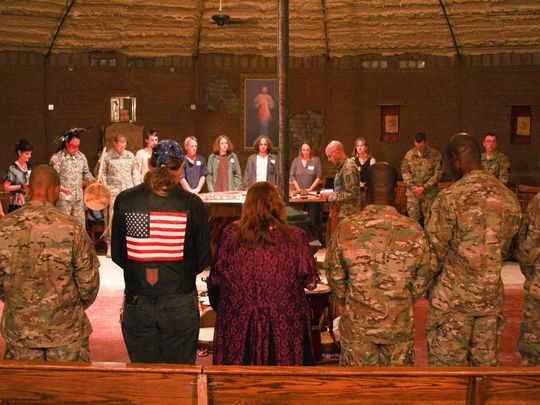 Becoming recognized as a Peace Advocacy Congregation is only a stop on the path, and in fact it points to a commitment to continue with our vigorous peacemaking actions in the future. Read the complete UUCRT Peace Advocacy Congregation Narrative.pdf.